According to the WHO World malaria report 2011, there were about 216 million cases of malaria and an estimated 6,55,000 deaths in the year 2010. Most malaria related deaths occur among children living in Africa where a child dies every minute from malaria. Long-lasting insecticide-treated mosquito nets (LLINs) have revolutionized malaria prevention, and have the potential to save millions of lives and according to an estimate, for every 1,000 children protected by an insecticide-treated net, five to six lives would be saved every year. Thus, WHO recommends the usage of LLINs as a crucial method to combat malaria. A recent study published in the Journal of Infectious Diseases by Nicolas Moiroux and colleagues from France has revealed that following the usage of LLINs, there is a switch in the biting behavior of the malaria vector mosquitoes. When the mosquito behavior before and after all households in two villages in Benin were given insecticide-treated nets, were investigated, the researchers observed that the mosquitoes seemed to change their peak aggression hours of biting from 2 a.m. or 3 a.m. to around 5 a.m., when the people are usually out of the net, early to work. 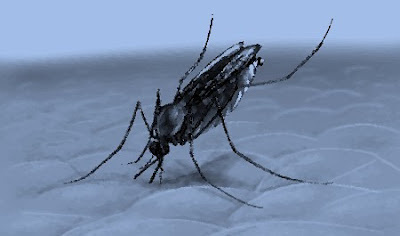 Moreover, the rates of mosquito bites in the outdoors were observed to be increasing after the years of usage of LLINs. Thus, the outcomes of the study challenge the "dogma" that malaria-transmitting mosquitoes in Africa bite exclusively at night. However, it is also to be noted that, since the results are from just two villages in one country, this cannot be extrapolated to a wider geographical area and/or a different entomological context. World Health Organization. World malaria report 2011. Geneva, Switzerland: World Health Organization; 2011.